An 18-year-old Saudi woman who was stopped in Bangkok as she was trying to travel to Australia for asylum to escape alleged abuse by her family has left her airport hotel room for temporary admission into Thailand. 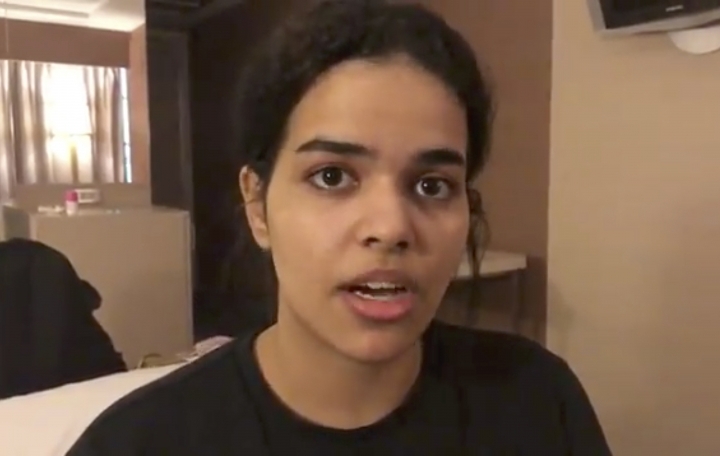 The head of Thailand's immigration police said Rahaf Mohammed Alqunun was allowed to temporarily enter Thailand on Monday under the protection of the U.N. refugee agency, which was expected to take at least five to seven days to evaluate her case and claims for asylum status. Immigration police released photos of Alqunun after she left the hotel room where she had been holed up. Where she would stay in the Thai capital was not announced. Thailand's immigration police chief says the young Saudi woman seeking passage to asylum in Australia will be temporarily admitted to Thailand for evaluation by the U.N. refugee agency. Maj. Gen. Surachate Hakparn told reporters Monday that 18-year-old Ramaf Mohammed Alqunun would be granted entry under the protection of the office of the U.N. High Commissioner of Refugees. He said the U.N. agency would take at least five to seven days to evaluate her case. Surachate's announcement came after Thai authorities allowed a U.N. team to meet with Alqunun. Police officials and staff at the Bangkok airport hotel where the woman was staying said she had already left her room there, though her exact destination was not made public. The United Nations' refugee agency says it has been in contact with the young Saudi woman who is trapped in Bangkok en route to seeking asylum in Australia after claiming to have fled her family fearing for her life. A statement issued Monday by the office of the U.N. High Commissioner for refugees said it sought to assess 18-year-old Rahaf Mohammed Alqunun's "need for international refugee protection and find an immediate solution for her situation." It said that "for reasons of confidentiality and protection" it would not release details of their meeting. Alqunun is barricaded in an airport hotel room in the Thai capital and had been pleading to talk to U.N. officials. 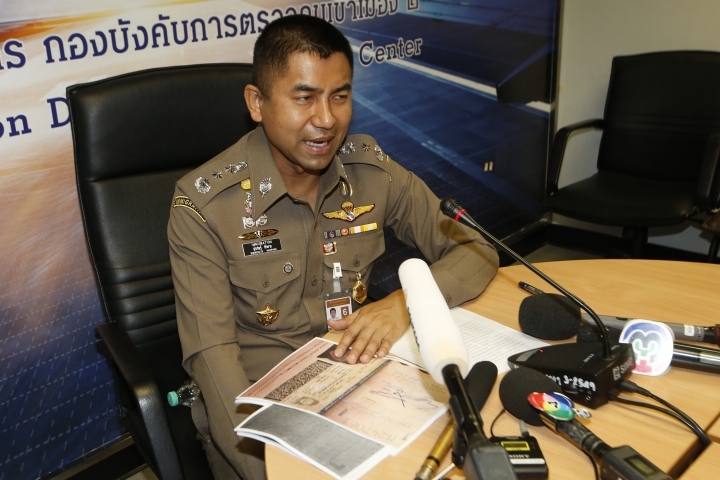 Thailand's immigration police chief says the father of the young Saudi woman who is trapped in Bangkok after being stopped en route to seeking asylum in Australia is supposed to arrive in Thailand on Monday night. Maj. Gen. Surachate Hakparn says that after the father of Rahaf Mohammed Alqunun arrives, officials will see what happens and whether or not she will want to go back with him. Abuse by her family was one of the reasons Alqunun cited for fleeing. Under Saudi law, a male relative is supposed to serve as a woman's guardian for many everyday social activities. Alqunun is barricaded in a Bangkok airport hotel room and has been pleading to talk to U.N. officials. Alqunun is barricaded in an airport hotel room and has been pleading to talk to the U.N. officials.